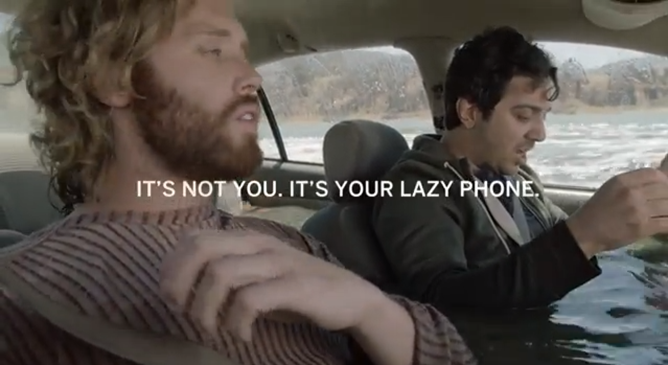 So the Moto X "Lazy Phone" ads are the best smartphone-related ones out right now. They're both funny and memorable, which is basically 90% of what a commercial really needs to be a success. The remaining 10% consists of reasons to choose one product over another. The original Lazy Phone videos showed how competitors' phones could ruin a romantic night, cause you to miss taking a photo of your child's stellar performance, or be the person whose phone won't stop buzzing during a meeting. Another one highlighted the advantage of using Moto Maker over other means of phone customization. 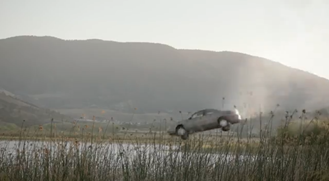 Now a fifth ad shows how using a competing phone could, quite literally, leave you stranded up a creek. 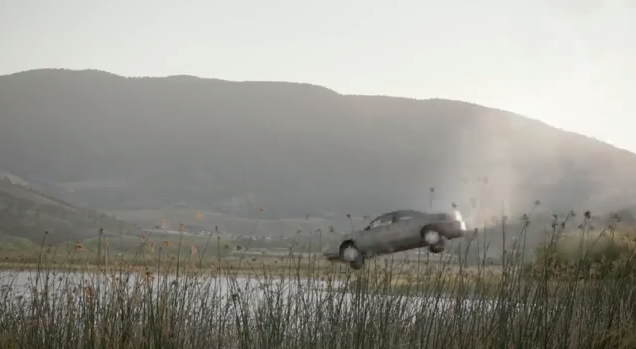 We're on the fence over whether this ad is funnier than the prior ones, but it's bolder - perhaps even farcical. Yet the video still manages to highlight very common frustrations. Autocorrect is great, but when it fails, it can be infuriating. 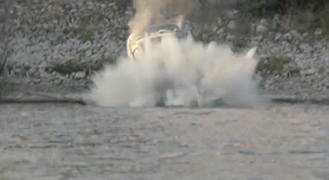 And as this ad shows, it could even be life threatening. Touchless control undoubtedly makes sense while driving, as it effectively turns the entire phone into a hands-free device. But does this ad do a good job of hammering that point home? It's funny, but that doesn't mean there aren't many missed opportunities here. 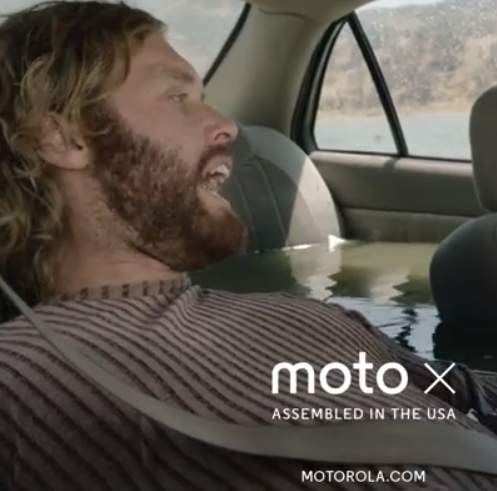 Hopefully this won't be the only lazy phone ad to focus on the driving experience.